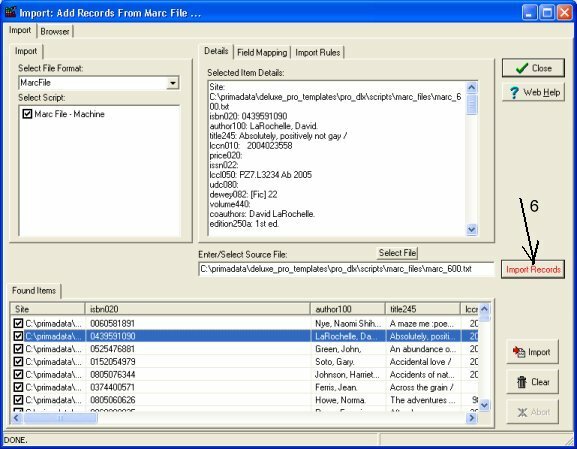 Question/Topic: How can I import marc records?
! Check version of your library solution, starting with version 2.8 we modified "Add Records From Marc File"
Click Web/Add Records From Marc File(1) menu command. Select Marc File - Machine in the Select Script(2) box. Click Select File(3) button. Note Marc File - Machine script extracts cataloging records from the machine readable file. Go to the folder with your Marc files(4). Select the file and click Open (5). 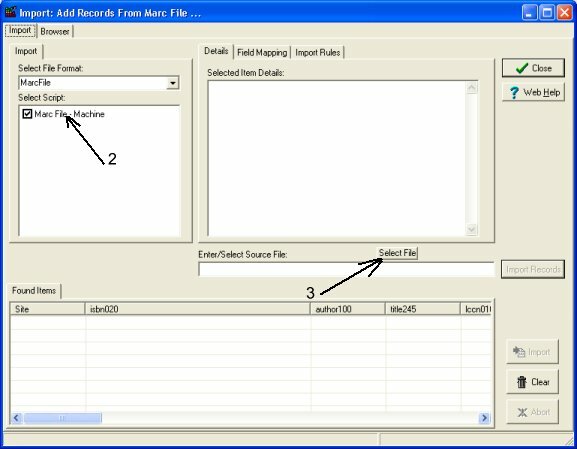 Click Import Records(6) to extract records from the selected marc file (extracted records will be listed in the Found Items table). It will take about 30 seconds for 500 records. All records are selected and ready for import. 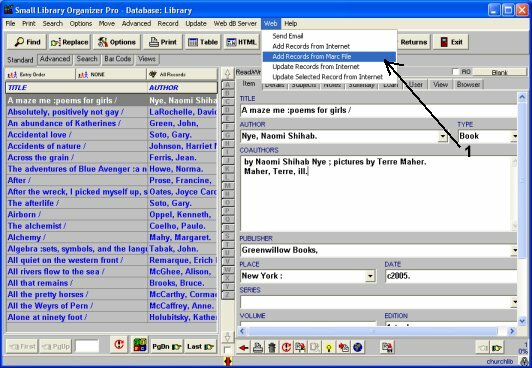 Review data field mapping (how data will be imported to your Library database). You can use our mapping or you can define yours (7). Click with right mouse button on the mapping box to display popup menu with mapping commands. To import all(selected) records to your library database click Import (8). 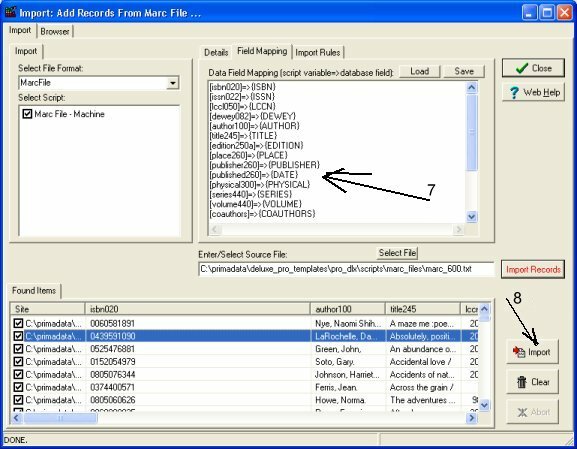 Marc File - Machine script extracts cataloging records from machine readable MARC file. Subfield($), field(^), record(^\) delimiters are changed for display only. In your file they should be valid Marc delimiters. How to catalog new library items (practical advice)? 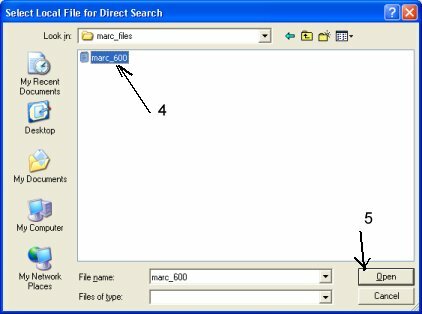 How to check database file name and application folder?